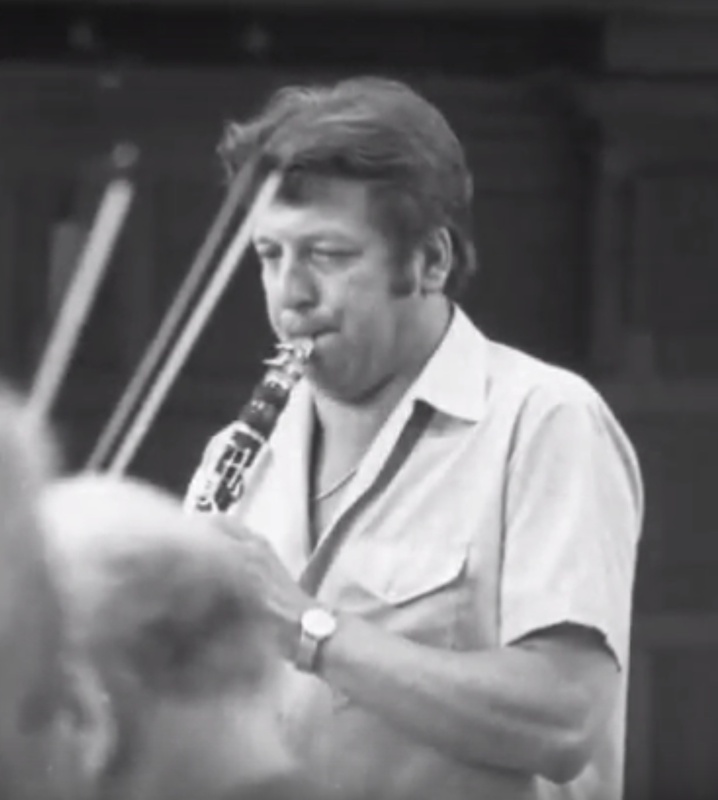 I've long been an admirer of John Denman's performance of the Finzi concerto, and recently I came across some pictures on YouTube of the 1977 sessions where this was recorded. I was intrigued to see he was playing an instrument like nothing I have seen before, and I wonder if anyone knows what it was? I attach two stills from the 1977 Finzi, plus a couple that google turned up of him playing the same instrument in 1985. Likewise John - I love that LP of the Finzi, arguably still the best version of this work. 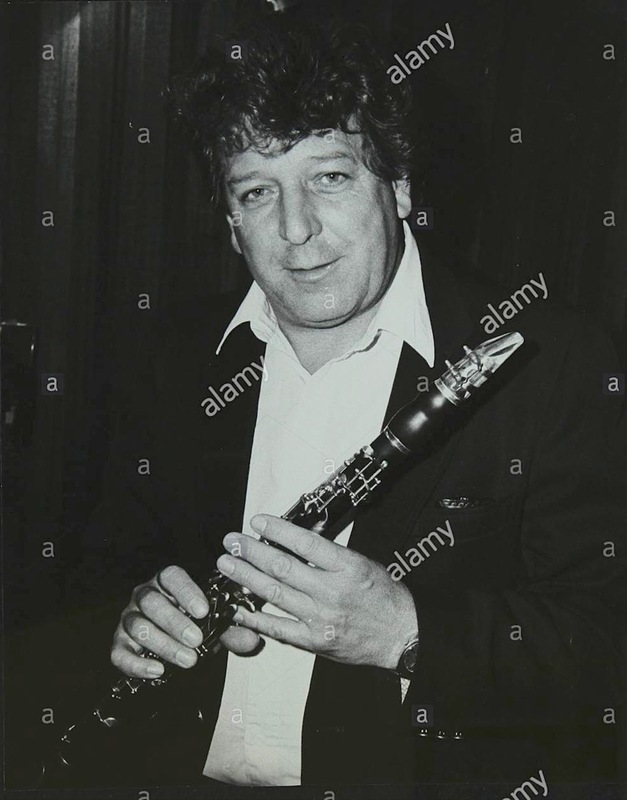 I heard John perform at the Internation Clarinet Society meeting when it was held in London August 1984. 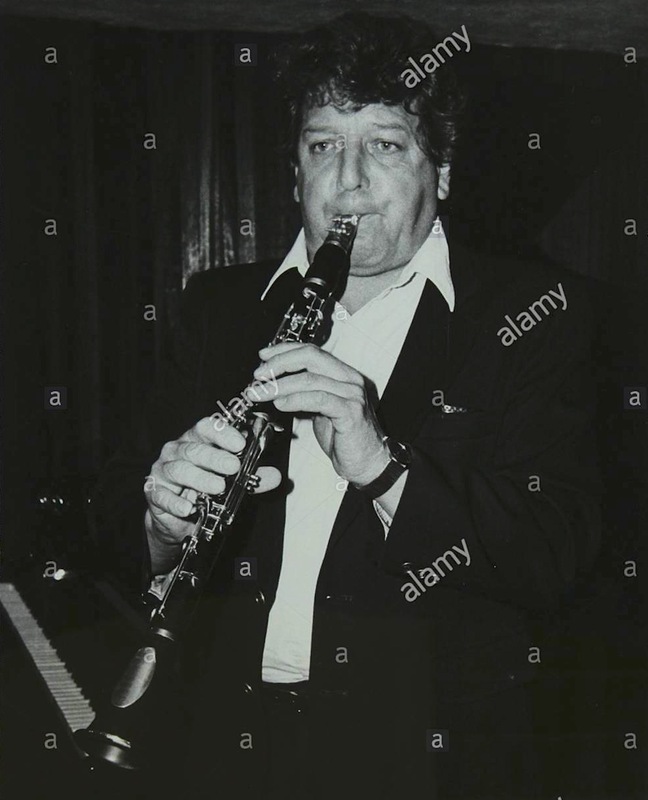 He was playing lighter jazz/swing items on this occasion but using this exact clarinet, the barrel was so unusual one could spot it a mile off. It looked so unusual that I spoke with him about it in the bar afterwards, but sadly after all these years (and my advancing years!) the details are now murky. However I do remember it dated from quite early, first half of the 20th century. The London Sax Quartet were also playing that day so I'd bet that Paul Harvey must know the provenance of this clarinet. Kicking myself that I didn't make notes back then. I also didn't realise till then that he had started his playing life in my old band, The Life Guards. Colin Davis had also graced the clarinet section, but both had left a few years before I joined. 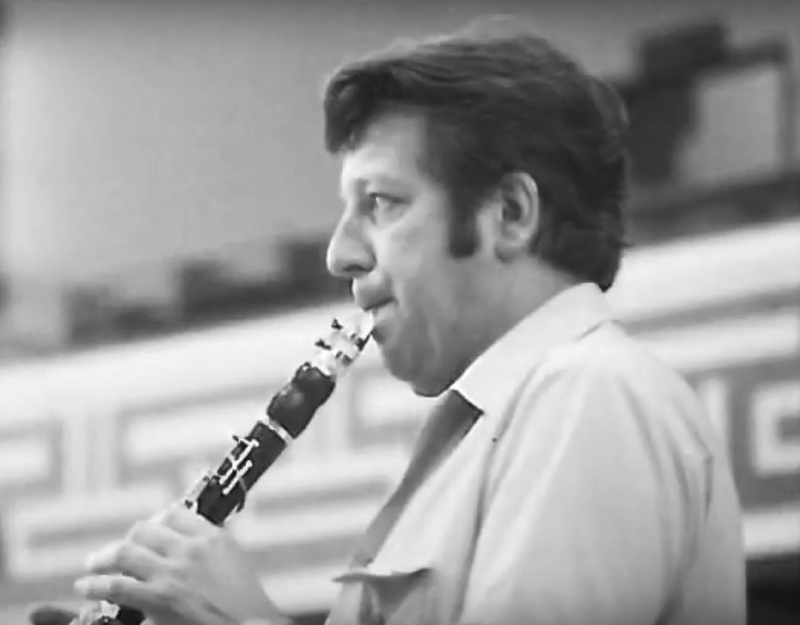 The Clarinet, Volume 4 number 3- John Denman interviewed by James Gillespie, but that's not where he talks about his clarinet????? I KNOW I read about this in The Clarinet, must have been another article????? There, you can find some great photos of Denman's Bb (attached). It was restored by Stephen Butler, who was kind enough to confirm that the instrument was made by Albert, but that the tuning barrel and the Bb mechanism were made by the late Edward (Ted) Planas. A unique instrument; I hope it's being played. In the course of this investigation, I've been able to use eBay to recover a pile of Denman recordings that are otherwise no longer available. It seems no-one plays in that traditional ultra-English way now (at least, not in the UK), but Denman's playing had great character, and it's been a pleasure to rediscover him. Hmmm, well I did attach the pictures to the above post, but no sign of them. Let's try again. Interesting research. 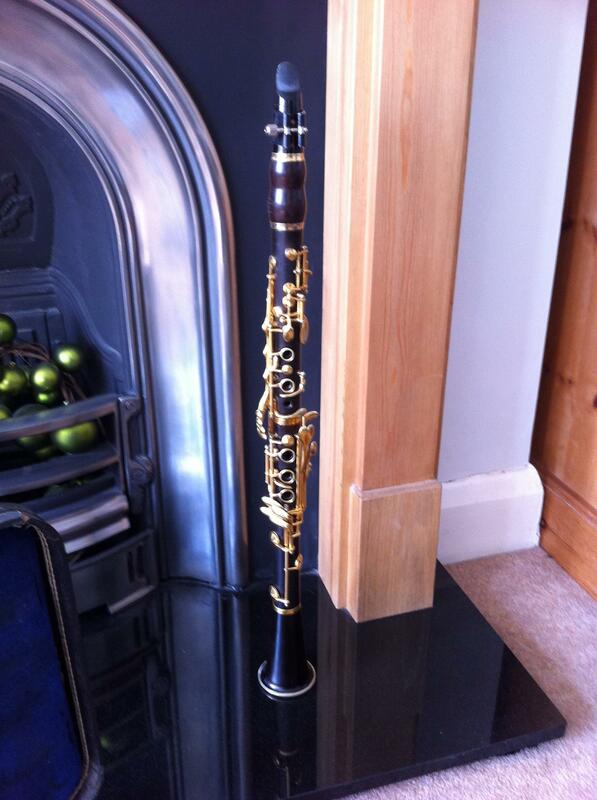 Hasn't Lesley Schatzberger performed on a clarinet made by Albert? But was hers an Albert System instrument? E.J. 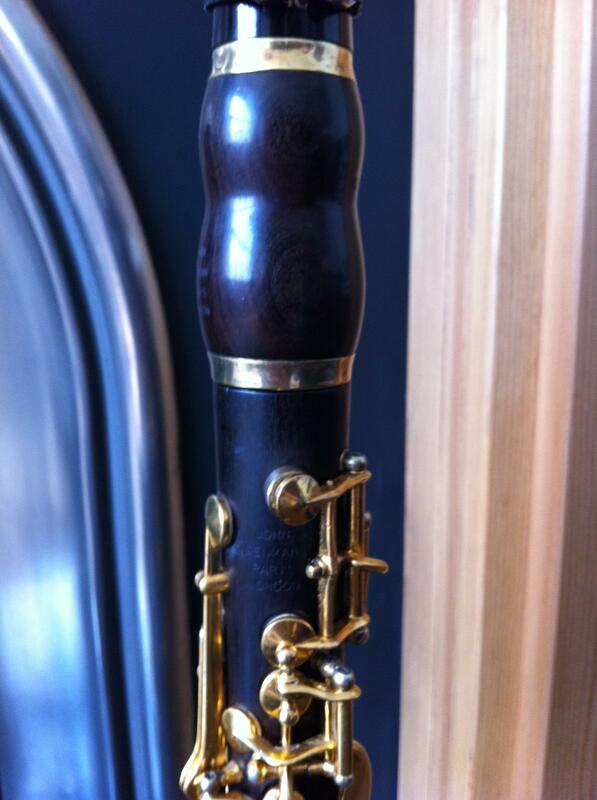 Albert made some Boehm system instruments that Rossi says he used a a model for his large bore 15.0 mm clarinet. Was Denman's barrel part of the original Albert or an addition. I know that when he worked in Arizona, he was marketing his own brand of crystal mouthpiece in the U.S.
Could they be by Martel? They look early 20th century (the keywork is delicate by later and current standards) besides the barrel which is a custom one. The bell looks like a Selmer BT/CT bell. 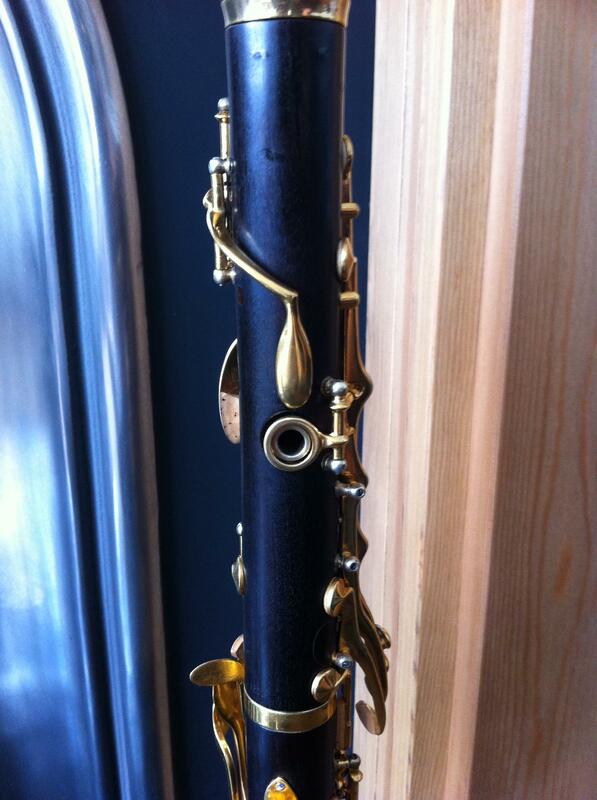 I haven't seen any Martels, but they were the make of clarinets the Louis Chas Draper models were based on. Did he design and customise the extra keywork himself or was it done by Ted Planas, Geoffrey Acton or someone similar? When I'm next in at Ak Uni library I'll look through late 1970s/early 1980s Clarinet mags, there is DEFINITELY an informative article about this clarinet. The article I found the other night is an interview with him, but he doesn't talk about the clarinet. I KNOW he did so in another article etc.